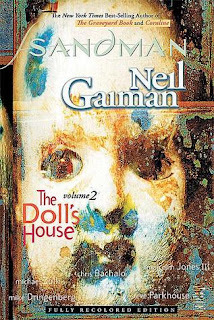 A lot of things have changed since the Sandman was imprisoned, and a lot of things must be set right. In volume 2 the Sandman must track down wayward nightmares and disarm with an emerging threat known as the Void. We see a continuity of some of the characters we were introduced to in volume 1 and we meet some new characters and how their paths all intertwine with the dreamlord’s.